If you ever wanted to take a closer look at the world of Geographic Information Systems, otherwise known as GIS, there will be a great opportunity at the Selkirk College Castlegar Campus on November 19 when GIS Day is marked with a day full of interactive displays, information and a special guest speaker. Selkirk College is inviting you to view the earth in a whole different way. GIS Day is an internationally recognized event that demonstrates the power and importance of Geographic Information Systems (GIS) in our everyday lives. On Wednesday, November 19, the Selkirk College School of Environment & Geomatics is hosting a GIS Day event on the Castlegar Campus that will provide a closer look at the technology. Peter LeCouffe from Harrier Aerial Survey will be one of the presenters at the Selkirk College GIS Day event on November 19 on the Castlegar Campus. 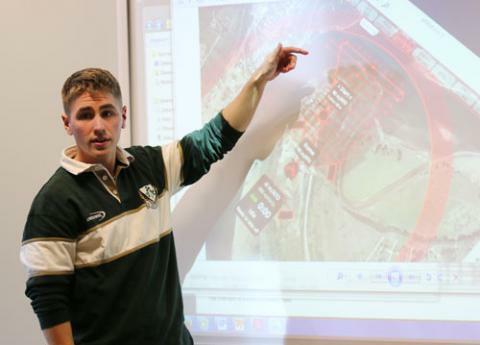 LeCouffe will present on drone technology which is an important tool in today’s mapping processes. Also included in the field is the creation of visualizations in maps, 3D models and time change series dimensions. The Selkirk College GIS Day event will provide a glimpse of what faculty, researchers and students are doing right here in the West Kootenay-Boundary. Those in attendance will get to see how Selkirk’s partners and sponsors are leveraging this important technology on a daily basis. There will be exhibits, map and poster displays by Columbia Power, Harrier Aerial Survey, the Canadian Society of Remote Sensing (Kootenay Chapter), and current Selkirk College students who will all be coming together to promote data literacy and geography awareness in the province. The keynote speaker for the day is Dr. Jon Corbett from the University of British Columbia Okanagan (UBCO). Corbett is an associate professor in Community, Culture & Global Studies at UBCO and the co-director of the Centre for Social, Spatial and Economic Justice. He will be speaking on disruptive GIS. Selkirk Geospatial Research Centre Coordinator Ian Parfitt. 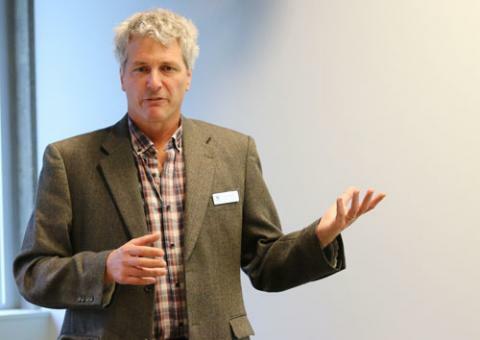 “A disruptive technology is one that creates new values and markets and shakes up old ways of doing things,” says Selkirk Geospatial Research Centre Coordinator Ian Parfitt. “A new technology or innovation first displaces old methods and then sets the stage for unexpected opportunities, insights and cultural shifts. Corbett will be speaking between 11 a.m. and 12 p.m. The Selkirk College GIS Day is sponsored by Columbia Power, Harrier Aerial Survey, the Canadian Society of Remote Sensing (Kootenay Chapter), ESRI Canada, Geospatial Information Technology Association (GITA) Pacific Northwest Chapter, and MacDonald, Dettwiler & Associates Inc. The event will run between 10 a.m. and 3 p.m. in The Pit on the Castlegar Campus (main building). Lunch is provided courtesy of the event sponsors and everybody with an interest in learning more about the technology is invited. Go to sgrc.selkirk.ca/gisday/ to register. For more information please contact GIS Instructor Frank Zhang at fzhang@selkirk.ca (250.304.6527) or Selkirk Geospatial Research Centre Coordinator Ian Parfitt at iparfitt@selkirk.ca (250.304.6524).